“Time is Money!” is a phrase that was coined (excuse the pun) by Benjamin Franklin. 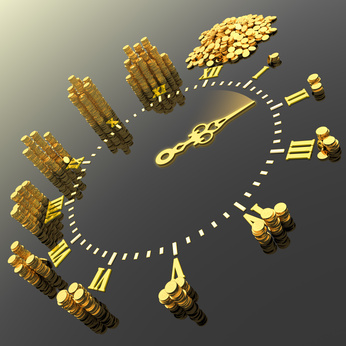 It means that time is valuable and if you are not using it efficiently you are losing money. Value is an interesting thing; market forces often determine how much something is worth. However, value can also be determined by the worth that an individual chooses to bestow. There is a website called www.Peopleperhour.com that allows people to advertise their services and determine how much they want to charge. On it, you can find people from the same professions charging from as little as £8 an hour to £300 for the same service – with little discernable difference in what’s on offer. In our society, it is so easy to treat people the same way that we treat things by placing a value on them according to their jobs or net worth. If the President of the United States had to have a life-saving blood transfusion and the only suitable donor happened to be a beggar, he would still have the transfusion. On any other day the president probably would not have given the beggar a second look. It is the same red blood that flows through our veins – princes and paupers alike, and sickness and problems have a way of resetting our value systems. To some people that we work with “time” is not money – it is life. To them, every day, every hour, every minute and every second is not accounted for in terms of profit and loss but in terms of survival or loss. To them, time can mean the difference between having a home or being made homeless, having enough food or having to go without. At Christmas, we had a party for the families that we work with. What made it very special was the various companies that chose to add value to it by allowing their employees to organise it, provide entertainment, and presents for the children. The time that those employees sacrificed translated into special memories of warmth, fun, joy, happiness and presents for the children of vulnerable families in Westminster. And judging by the photos, those employees also had a good time. You see, time does not have to be money – although, money certainly helps. However, it can also be your expertise, your advice, a sponsored event, or donated goods. Time has whatever value we chose to place on it. A special thank you to Experian, British Land, Land Securities, John Lewis and the Volunteer Centre for showing that time can be more than money.